Insurers that offer Medicare Advantage health plans are facing less pressure to cut benefits and pull out of some markets next year following a favorable early assessment of factors affecting rates. Late last week, the Centers for Medicare & Medicaid Services (CMS) announced a proposal to hike Medicare Advantage rates by 1.35 percent on average for 2017. While hiking the rates won’t likely come close to covering all costs involved in administering the program, CMS said plans that work toward enhancing the quality of care delivered to enrollees may see advanced updates to cultivating which benefits are offered. Determining how much of an impact the rate hike will have on enrollees is quite difficult to say, but the final rate alteration will vary depending upon factors such as where the plan is located. CMS also floated changes in how risk adjustment would be designed for Medicare Advantage plans that serve many seniors dually eligible for both Medicare and Medicaid. 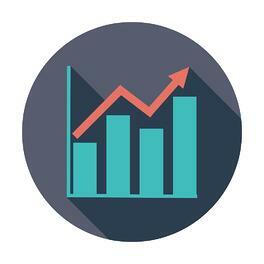 Medicare Advantage plans have undoubtedly become a key source in growth for insurers offering the health plans. With the rate hike, high pressures felt by insurers over recent years due in part to reimbursement cuts called for by the Affordable Care Act (ACA) will slowly start to diminish. Following last week’s announcement, one of the largest Medicare Advantage providers (Humana Inc.) saw shares jump out ahead of the broader market at the start of trading Monday. Humana’s stock increased 2.4 percent, or $3.97 to $169.31, as broader trading indexes climbed around 1 percent. While the final rates for 2017 will be announced in early April, both insurers and enrollees have much to look forward to in the year to come. Interested in selling Medicare Advantage plans? Contact our expert team of Marketers today at + 1 (800) 998-7715 and they'll get you going on the certification process! With more than 11 million Americans comparing and purchasing new Medicare Supplement policies nationwide each year and all of the technology in this day and age, why would you limit your senior market insurance business to your home state? Precision Senior Marketing is here to share with you where those policy holders reside so that you may get licensed in those states and begin selling Medigap from virtually anywhere. The Sunshine State is home to more than two million individuals age 65 and older. If you're already licensed to sell Medigap policies in Florida (which you should be), some hot areas where you may inquire about purchasing prospecting lists include Panama City, Lynn Haven, Panama City Beach and the Northwest Florida nonmetropolitan area. If you’re in or around the Panhandle area, these spots might be worth a face-to-face visit considering that they are relatively close to each other and have a high senior-to-agent ratio, meaning the opportunity to convert leads to customers would be significantly high. More than one million individuals age 65 and older reside in the Land of Lincoln. If you’re licensed in Illinois and have a website, you might want to invest some time and money into SEO. Areas where there are an abundant number of seniors and just a few agents in the field include the Kankakee-Bradley area, Danville and Decatur. If you haven’t quite yet made the leap to capitalize on a website for your senior market insurance business, internet lead vendors like Get Seen Media can assist you in expanding your reach by providing 100% search-based, quality leads through platforms such as Google, Bing and Yahoo. Like Florida, the great home state of PSM has more than two million individuals age 65 and over. While you certainly may be familiar with our slogan “Don’t Mess with Texas”, we combat that notion by encouraging you to get licensed in the Lone Star State and get contracted with Transamerica Premier (that is if you aren’t already an appointed agent) Why Transamerica Premier? It just so happens that they’ve got a highly competitive Medigap policy in Texas right now and an electronic application to help you write business over the phone, so request the details today before your competition beats you to it! To make the absolute most out of your new business opportunity, generate pre-qualified prospects with a mailing program that targets areas such as San Angelo, Victoria and the Southern Texas nonmetropolitan area. In addition to mail-back leads, our friends at Kramer Direct offer a toll-free phone service for receiving call-back leads for non-Texas natives. They also offer an exclusive discount to agents contracted with PSM, so get in touch with them today! One million individuals age 65 and older reside in the same state where both our Constitution and the Declaration of Independence were signed. Agents who have a website for their senior market insurance business and are either living or licensed to sell in the Keystone State should invest in SEO for hot areas such as Williamsport and Altoona. These areas are where you may find the highest population of seniors in Pennsylvania. If you’re looking for internet lead vendors who can filter by state, location and even medical conditions, take a peep at Get Seen Media. Feel free to reach out to our Account Representative, Adam Clancy, who can provide you with quality leads generated through search engine platforms such as Google, Bing and Yahoo. Bonus tip: Recently, we’ve conducted some research and have found that Companion Life is has a highly competitive Medicare Supplement in Pennsylvania. Be sure to request details and get contracted A.S.A.P.! With more than one million individuals age 65 and older calling the Garden State “home”, New Jersey holds countless opportunities for senior market insurance agents. If you’re in or around the Vineland-Millville-Bridgeton area, it might be advantageous of you to head to an independently-owned golf course nearby and ask the owner if he or she would be willing to accept a donation of 1,000 (or more) score cards if, in exchange, you were granted the opportunity to place a small ad upon them in the printing process. The Ocean City area is a pretty hot spot for seniors, too! Once spring finally rolls around, you’ve got a perfect excuse to plan a day trip for face-to-face meetings with clients in the area and catch some rays on the Pier. Eureka! With more than two million people age 65 and over, it’s safe to say that the Golden State is a hot spot for seniors to reside. Many of them tend to live within the Madera-Chowchilla area and the Northern Mountains Region of California nonmetropolitan area. Before making a trek across the state if you happen to be in or around the areas, it might be advantageous of you to inquire about some qualified internet leads from our friends at ProspectZone within those zones. North Carolina has more than one million persons age 65 and older, making it a great spot to target when selling Medigap policies. Targeting areas in North Carolina like Rocky Mount, Goldsboro and Jacksonville with a mailer piece would most likely generate a high ROI, as we've found that there is a dense population of seniors and very few agents within the field. Check out How To Master the Art of Direct Mail Lead Generation by Allyn Kramer of Kramer Direct and then give them a shout if you're interested! With more than two million individuals age 65 and over, it’d be smart to get contracted in the Empire State. Surely, our friends at ProspectZone would love to hook you up with qualified internet leads in areas such as Glens Falls, where there happens to be a high senior-to-agent ratio, or even elsewhere. If you’re familiar with Smart Leads™, which is a program that extracts data from interested prospects in real-time, they happen to be the creator of it. Cool, huh?! Linking up with ProspectZone will also give you access to innovative tools to help improve ROI, so check ‘em out today! More than one million individuals age 65 and older live in the only state that resembles one of the most popular pieces of must-have winter apparel (a mitten). Hot areas to target with a mailer piece include Bay City and the Muskegon-Norton Shores area, which happens to be a popular spot for seniors to call “home”. Our friends at Laser Image can estimate approximately how many leads are available for you to reach in these zip codes and you only pay a price per lead with their new Medicare Supplement Cost Per Lead program. You can even choose from their lead menu which lead piece you want to use! Variety is always nice, right? 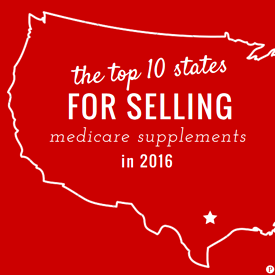 Bonus tip: Transamerica Premier has a highly competitive Medicare Supplement product in Michigan right now! If you haven’t already, get contracted with Transamerica Premier today! While Virginia has a bit less than one million individuals age 65 and older, it still holds vast opportunities for your senior market insurance business whether you happen to reside in the state or not. Our tips for you are to: 1. Get licensed to sell in the oldest of the original 13 colonies (if you haven’t already) and 2. Give our friends at Laser Image a buzz to find out more about their new Medicare Supplement Cost Per Lead program. He would love to help you set up a mailer that targets areas such as Harrisonburg, Danville, Winchester and the Northeastern Virginia nonmetropolitan area, where there’s only a few other agents in the field. As a bonus, you’ll also have free access to LeadForce, which is their lead management tool, to organize and work your leads. Find out more about Laser Image’s unique cost per lead program on our site by giving this link a click. Another lead vendor you may want to get in touch with is USADATA. If you’re an appointed agent with Mutual of Omaha, they’ll hook you up with an exclusive discount on leads. Their lists are not only affordable, but also come pre-scrubbed against FTC and State Attorney General Do Not Call Registries and the DMA’s Do Not Mail file. For more information upon how to go about getting licensed in different states, selling Med Supps by phone, or any other questions you may have, feel free to reach out to our expert team of marketers today at + 1 (800) 998-7715. We’d love to help you expand your reach in states outside of home. 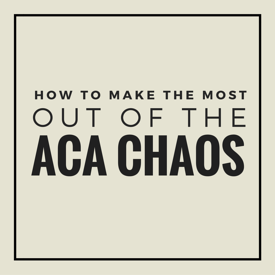 Agents who have been selling health insurance for several years – you sure have hit a series of tough speed bumps recently with all of the ACA chaos going on, haven’t you? While these disruptions can certainly be scary, they can also serve unique chances to revitalize and revolutionize the way you do business. The good news is that the Medicare market promises agents an opportunity like no other. Unlike any other market in this day and age, the T-65 market supplies 10,000+ new prospects per day. With plenty of potential clients, isn’t it time that you consider introducing Medicare products into your portfolio? Find a trustworthy, knowledgeable FMO who specializes in the Medicare market to do some of the thinking for you. This will help relieve you of the stress in fully educating yourself upon a brand new market and shift your perspective outside of what you do on a day-to-day basis. If you really want to capitalize on your investment in the Medicare market, you should take time to identify opportunities that aren’t necessarily close to home. In today’s day and age, technology allows for agents who live in rural communities in Wyoming, for example, to serve health insurance products to shoppers in Florida. Visit the National Insurance Producer Registry website to learn just how easy it is to get licensed in additional states. Contract work and commissions can vary with each carrier, so it's important to conduct some research before making any decisions upon the carriers you wish to represent. Check out online communities like Insurance-Forums and speak with agents in your local chapter of the National Association of Health Underwriters (NAHU) to get feedback and reviews on the best Medicare Advantage and Medicare Supplement carriers in your target states. If you wish to sell Medicare Advantage (Part C) or Medicare Prescription Drug (Part D) plans, a basic health insurance license is unfortunately not enough. The Centers for Medicare and Medicaid Services (CMS) requires that all licensed sales representatives, agents and brokers also complete a CMS certification program and receive certification before they can start marketing those two Medicare products. If you need help, an FMO can also help you certify to sell Medicare Advantage and Medicare Prescription Drug products. The relationships you’ve made in the industry, whether that be with CPAs or marketing firms, are valuable sources of information. They can also serve as referral generators, so be sure to keep dialog going about trends and clients. When you see a disruption on the horizon, communicate it with your existing base of customers and address any fears or concerns they might have. Don’t forget - competitors may also be willing to leverage disruption by going after your clients, so be sure to keep them up-to-date with what they need to know to maintain trust! See the glass half full. Look for a creative solution to the obstacle in front of you. It may derive from an unlikely source, so never stop learning! Read the news, hire an FMO, and be open to being influenced by what people in the Medicare market may have to say. Change will almost always feel uncomfortable. Although the ACA chaos may seem like too much to handle right now, the good news is that it’s all going to be okay. Something great is right around the corner and you have to have the tenacity to seize it. Make the most of the commotion and give one of our expert marketers a call today at + 1 (800) 998-7715 to learn more about how you can enter the Medicare market.